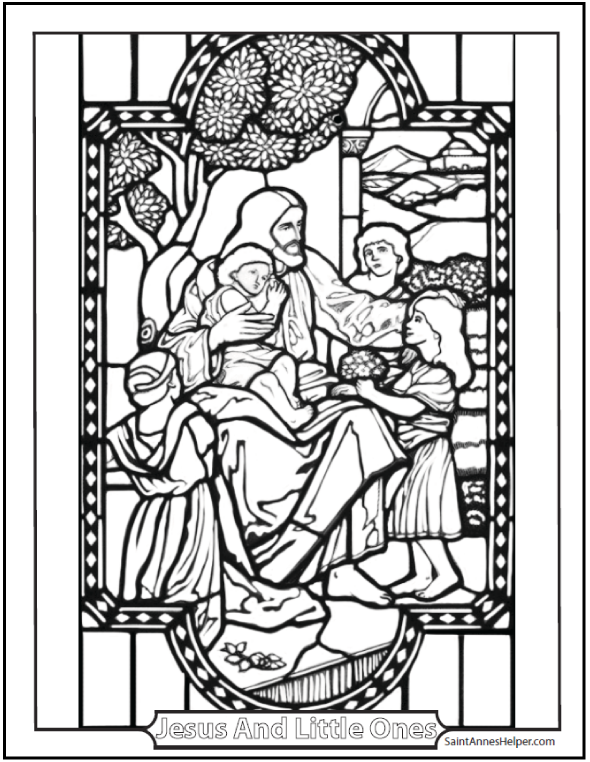 This is a sweet coloring picture of Jesus and the little children. It looks like a stained glass window and shows Him blessing a child. Jesus loves children and they love Him. 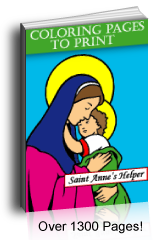 This PDF prints 8.5x11" single sided. Jesus loves children and they love Him. My Mom was always good to call us when she wanted extra prayers for someone in an emergency. She'd ask us to have our little children pray because God hears their prayers so quickly. What a treasure!